The 5th Annual Arizona Route 66 Tiddler Tour took place Saturday April 13th with over 30 riders cruising about 120 miles on a stretch of Arizona’s Route 66 that is ideal for tiddlers. Why is this road ideal? You have to understand what a tiddler is. Tiddlers are motorcycles that are over 30 years old and under 30 horsepower. The problem event organizer Harry Klemm sees with many tiddler events is that they take place on routes with 55-mile-per-hour speed limits. Some even take riders on freeways. Freeway speeds are tough on these bikes (almost all are less than 250cc engine displacement) and you see more mechanical issues. 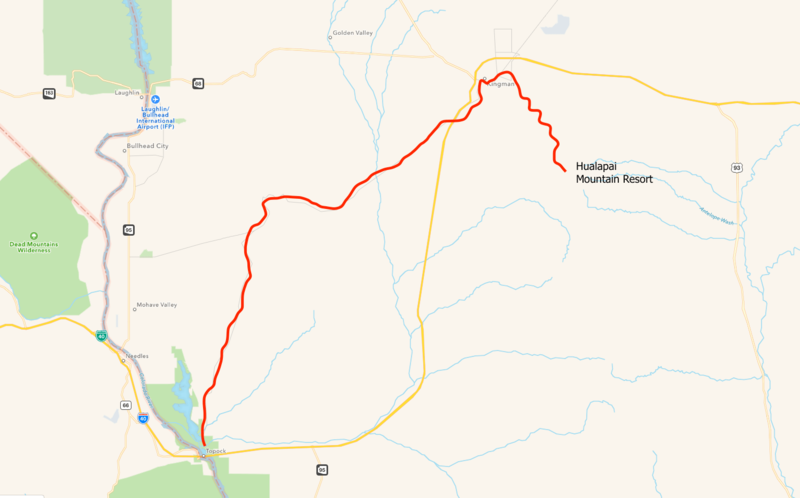 The entire Arizona Route 66 Tiddler Tour uses roads with many miles of 25 mile-per-hour speed limits and tops out at 45 miles per hour. These lower limits assure the bikes will not be tapped out. It also assures the riders can enjoy the experience. This year’s event, sanctioned by the Vintage Japanese Motorcycle Club, was the largest ever with over 30 riders. My only complaint is that Harry doesn’t charge enough! The paltry $30 entry fee gets you a T-shirt, a great lunch at the Hualapai Mountain Resort outside Kingman, Arizona, a chase truck and while not advertised, I saw Harry sharing gas at the fuel stops. Heck, I’ve paid $100 for a bicycle century ride where all you get is a bag of advertising brochures, an energy bar and crappy food at the finish. 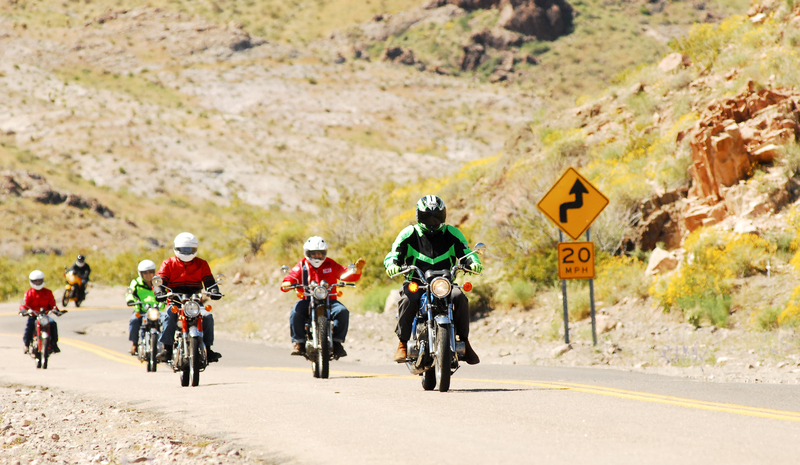 The Arizona Route 66 Tiddler Tour is the best group ride value of its kind. I tagged along on my Suzuki DRZ-400 (not a tiddler) to take photos, but not next year. I’m pulling a tiddler out of the shed (I’ve got four RWP’ed tiddlers), massaging it back to life and “officially” experiencing the event as it should be. One final word. Don’t tell too many friends. I get the feeling that Harry wants to limit the event to manageable numbers and people he likes riding with. That includes just about anybody who rides a tiddler. Harry Klemm (far right) leads the group towards Oatman, Arizona. Everyone was so chill. Nobody was showing off or riding dumb. Hodakas were well represented at the ride. Bigger is not better at a tiddler event. Old motorcycles are cool to see in museums but nothing is better than riding a bit of history with your buddies. Hearing the mix of small displacement two- and four-stroke motorcycles coming up the grade was awesome. You’d be hard pressed to find a better route for these bikes and riders. I was told this bike had carb issues. The rider pulled the carb apart on the side of the road, found the issue and caught up to the group. Tiddler riders know their machines. Ron Callaway was Micky Dymond’s mechanic before anybody knew who Micky was. There were great stories behind every rider in the event. The manager at Cool Springs Cabins (in top hat) got the gang together for a group photo. Numerous (but not too many) stops allowed everyone to regroup. No tiddler left behind! A big thanks to Harry Klemm (left) and his brother Gerhard Klemm for making the Arizona Route 66 Tiddler Tour happen. The smell of Castrol R brought back a lot of memories.